Kim, my beautiful bride of 16 ½ years, does not like for me to go grocery shopping on my own. Recently she had a procedure and when I brought her home to rest I told her I would do the grocery shopping while she rested and no one would have to go the following day. I was surprised by the fact that she was totally against this idea. When I asked her why she wanted to go with me, she told me that I get hungry when I shop and buy a bunch of things that are not on the list, so if I was going shopping, she had to go too. We both ended up going later that day. While I was a bit hurt by her reasoning, I couldn’t deny it. She was absolutely right. I get hungry when I shop. Lots of food, free samples, items I like on sale, items I’ve never tried not on sale, eye catching packaging. . . I can’ help myself! And there’s no pattern to my binge shopping. It just depends on the aisles, the samples, and my cravings. This got me to thinking if everyone does this. I think so. So what does this have to do with math teaching? Bear with me for a bit. 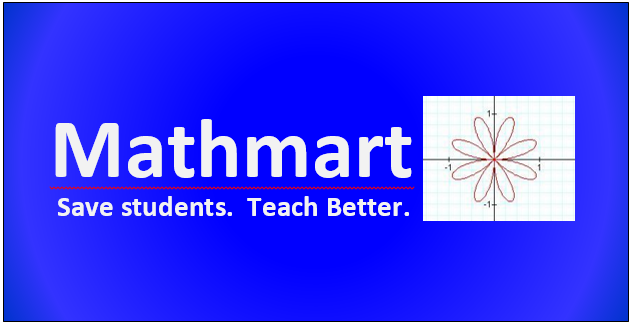 I started a new position in January as Math Teacher on Special Assignment for our district. My focus is working with middle and high schools. I’ve taught elementary school, middle school, high school and even some college courses for pre-service teachers, so I’m comfortable working with students at all of these levels. But when I started I just wasn’t sure how teachers would react to the support I was offering. Would they want feedback? Would they want support in their planning? Would they want a model lesson or to co-teach a lesson? The bottomless pit. These teachers are hungry all the time! They ask for feedback, and resources, plan for co-teaching lessons, conference, and do just about anything asked of them. The nibbler. These teachers are willing to take a taste, if it’s not too spicy or too bland. They want new strategies and will try something if they can immediately see how it will fit within their classroom without dropping something that’s “tried and true”. If they don’t shop in that aisle, they sure won’t take a taste. The Pepto-Bismols. These teachers just ate a three course meal with desert and coffee. The only thing these teachers might want is an antacid. At first glance, you may choose one to work with over another, but read on. There’s more to these categories than meets the eye. The bottomless pits are always eating, but they may be eating things that lead them away from the aisles containing the foods for best practice. So it’s my job to make sure to steer these teachers down the aisle for the food that they need and They may be devouring number talks, but they may be giving speed tests. They may be sitting down to the table for a 3-Act Task, but they may not be letting their students come to the table of wonder to eat some for themselves. Tricky stuff here. We all have our favorite junk foods, but if it’s all we’re eating we are going to have a lot of problems down the line. The nibblers are kind of tricky. They’re a bit pickier about the food they eat. Most of the time, these teachers just need an alternative, something that might replace what they’re currently eating. Like the bottomless pits, these teachers could be in the wrong aisle and nibbling just because it’s easier than walking to the next aisle – even when the food over there is SO much better! The Pepto-Bismols are my favorites. These are the ones who think they cannot possibly eat another bite. They don’t think they’re still hungry, but deep down they are still craving. They’ve eaten and their plates are still full. 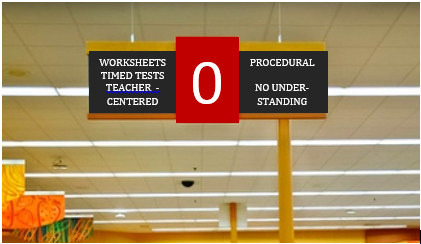 It’s time to steer these teachers toward the pharmacy aisles. If we can ease the bloating (often caused by lack of standards-based diet), maybe we can slip in a small piece of gourmet math food here and there (Open Middle anyone?). When they realize their hunger it isn’t long before these teachers are feeding others! 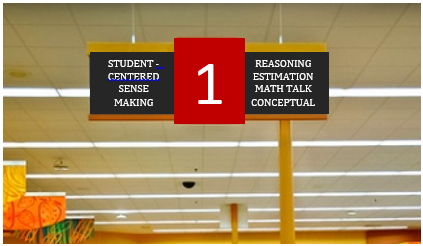 Ultimately, we all need to help our peers in this global math grocery store realize that they are hungry, feed them a little bit of the math goodness, then teach them how to shop for themselves. You see, all of us are hungry. Some of us are just walking down the wrong grocery aisles. I’m still not allowed to grocery shop alone and I’m ok with that – as long as I can be a Mathmart associate, it’s all good!